For the best waste removal in Potts Point look no further than Blue Heeler Bins. Blue Heeler bins provide the perfect waste removal in Potts Point for industrial residential, deceased estates, renovations, yard clean ups and recyclables. with a 100% customer satisfaction guaranteed, you can rest easy in the knowledge that you are getting the best possible service. Many waste removal company’s do not provide the correct skip bin size that you as the customer pay for some times skips are as much as 1cubic meter less than what was payed for. However at Blue Heeler Bins you can be confident that the size skip that you pay for will be delivered, guaranteed. 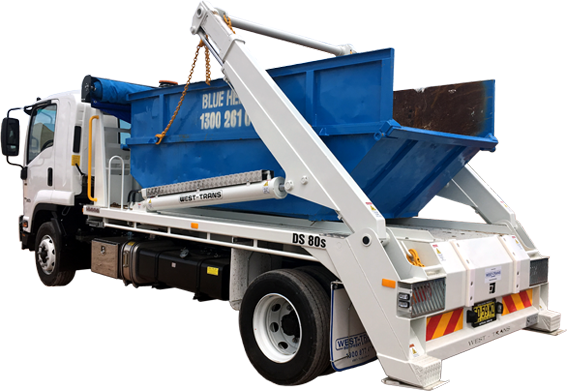 With a wide range of skip sizes to choose from there is always a Blue Heeler Bin to suit your waste removal needs in Potts Point. Blue Heeler Bins is 100% Australian owned and locally run. With 100% customer satisfaction guaranteed Blue Heeler Bins is a must for all your waste removal needs. With over 20 years of experience our expert staff can always find the best solution to your waste removal needs, including getting skips into tight places without damaging the surrounding environment. Blue Heeler Bins use an opened toped skip design to make it as easy as possible for you to fill. Using the Blue Heeler waste removal service in Potts Point makes it easy to remove large amounts of building debris, garden waste and general garbage in one quick and easy step. If you would like to hire a bin or are interested in getting a quote or any further queries you have about waste removal in Potts Point then contact us on Ph: 02 9544 8000 or Mob: 0418 238 210 and speak directly to our friendly staff. Or follow the link to our contact details at our official website.